I can’t remember if I actually posted it on here, but earlier this year Dave and I filmed a series of videos with British Cycling titled ‘Commute Smart’ that show how you can utilise your commute for training, how to best position yourself in the road, what to wear and various other tips. Whilst filming the videos we had a discussion about wearing helmets and whether all the videos should show us wearing lids or if it might be good to show that you don’t have to, because you know, you don’t actually have to. A decision was made that Dave would not wear a helmet in some of the clips. British Cycling have a neutral stance on this matter. As someone who wears a helmet nearly all the time, you might imagine that I’d be pushing an agenda when it comes to head protection but you’d be wrong. I fully backed the idea to go helmet free because I feel we’ve a duty to ensure cycling remains inclusive and to not scare people off – they might be persuaded that cycling is inherently dangerous if the only cyclists shown are wearing lids. And whilst yes, accidents can happen on bicycles, I feel that angle is so often rammed down our throats whilst the positive benefits are neglected that I really didn’t want it reinforced. Dave suffered a lot of abuse for not wearing a helmet, being personally attacked online and called numerous names. It was even implied that he should die for what he’d done. Can you believe that? He responded calmly and with dignity. British Cycling stayed out of the argument, as they should – being the National Governing Body of cycling they need to retain their neutrality and besides, Facebook comments are not the place to have proper debates, hence the juvenility of the posts attacking Dave. Anyway, clearly they were happy with the job with did on the shoot as they hired us both again last weekend to film a series of Cyclocross videos. Luckily, Cyclocross is always done wearing a helmet so we were spared any future conflict when filming at a beautiful location in Wiltshire, Compton Basset. As we were traveling up from deepest Devon, Dave and I arrived the night before the shoot began and checked into a fantastic converted barn with a bedroom larger than the footprint of our entire house and a bed so big that you could lie across it sideways and not reach the edges. It just so happened, we’d a bottle of Champagne with us so we spent the evening luxuriating in bath robes whilst trying not to get the place dirty. It wasn’t long before we were told off for bringing our bikes inside, which seemed a little daft considering we’d rented the entire place for a cycling shoot. The following morning we began filming various items for the five videos we were producing, ranging from off the bike training and preparation to instructional videos breaking down the technique required. 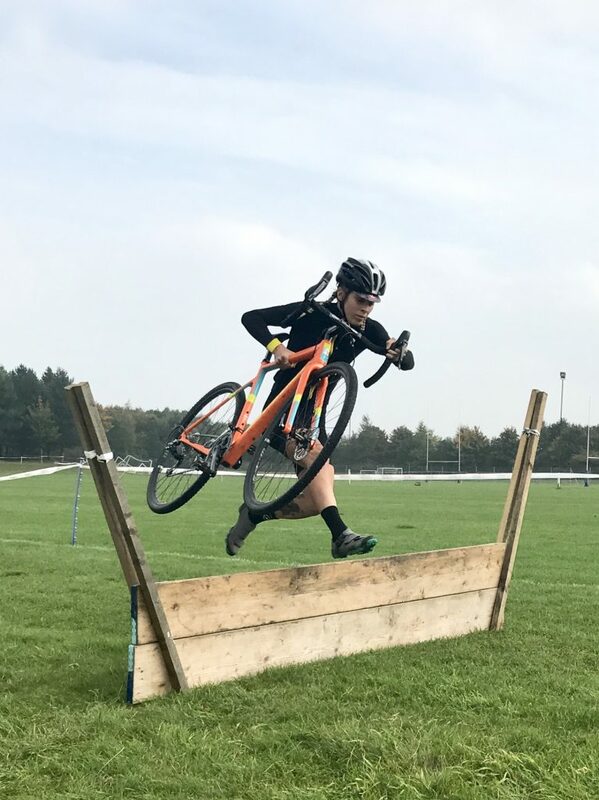 I spent much of the morning leaping around and playing with bikes before heading off to Swindon to compete in a cyclocross race so that the team could get some real life race footage to use in their edit. Working with an easy going bunch of people that I got on well with made the whole thing so much fun and getting to actually race was truly the icing on the cake. Down in the South West we race for an hour and those 60 minute are ridden near enough flat out and quite possibly, the reason I didn’t use to enjoy racing so much when I started is either because I wasn’t fit enough or because I wasn’t used to pain. Now that I regularly compete in Red Hook Crit and stuff like the Tour Series, I am more accustomed to suffering so I can better deal with ‘cross! At the risk of sounding like a real weirdo, it’s actually addictive. The race in Swindon was part of the Wessex league which is so big that women, vets and senior men all get their own start or race and because of that, the women race for 40 minutes rather than an hour (the reason we race for an hour in the South West league is because everyone goes at the same time so we all race for the same amount of time). I assumed this would make things slightly easier or give me a bit of an advantage but I was so very wrong – the 40 minutes were probably even more intense and the race was as difficult as ever. Thanks for including the bit about helmets, Juliet. I don’t use one and I haven’t for the 35 years I’ve been a cyclist (apart from events where it’s been compulsory and a trip to the Alps). Just this summer I had negative comments from two cyclists on the other side of the road (two separate incidents). Both were women incidentally – one tapped her own helmet and said “Forgotten something?”, the other shouted “Where’s your helmet?” in an aggressive tone. I replied “At home.”. I rather wish I’d turned around and remonstrated with them (especially the second one). I believe that most serious car crash injuries are to the head yet people in cars (again except for racers) don’t wear helmets and no-one gives them abuse about it. Unfortunately I can’t cite the source material, but I do remember reading about a study (either in the US or UK) which concluded that motorists gave more room to helmet-less cyclists. I also saw an advertisement for Cycling UK in a magazine recently with the photo showing some of the riders without helmets. Good on you, Cycling UK. Hi Richard, like you, I feel that adults should be able to make their own decision on this matter and that decision is final. When I’m out, I do not remonstrate with people whose choices I disagree with (I’m thinking parents feeding children entire bags of Haribo, for instance!). I really dislike the way some cyclists turn on others on this matter. Cyclists get enough abuse as it is! I do think it depends on the kind of cycling you are going and the kind of cyclist you are. I do remember seeing that too. Seems mad that some drivers think a helmet means you need less room! I live in a secluded community so never wear a helmet as I’m always riding at a slow pace and love the freedom that comes with helmetless riding. I do have a good helmet for riding on Bangkok’s roads that can have nasty traffic. Thanks for sharing. I love your posts. Great article! 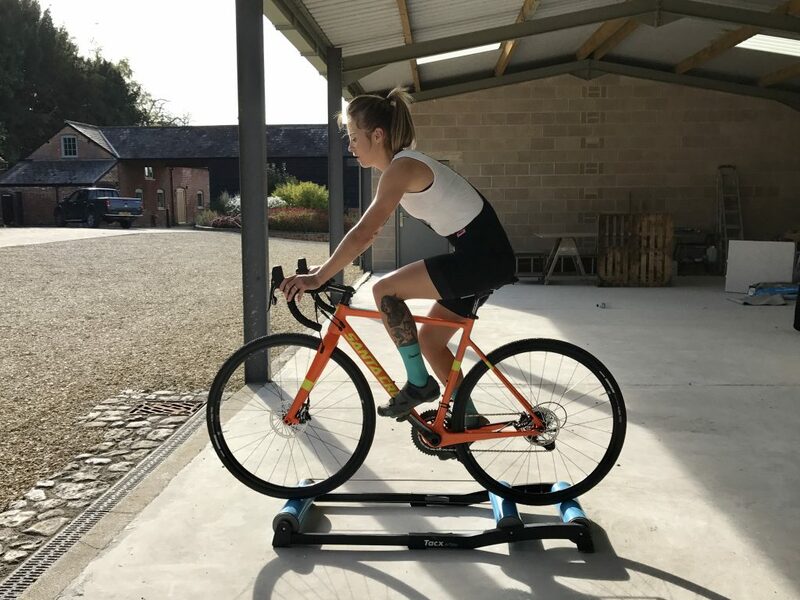 Training for cyclocross can be hard, but the nice thing is that a training program doesn’t have to involve a huge time commitment. As little as 6-10 hours per week is enough time, but during that time every minute on the bike has to count. Keep it up, man!